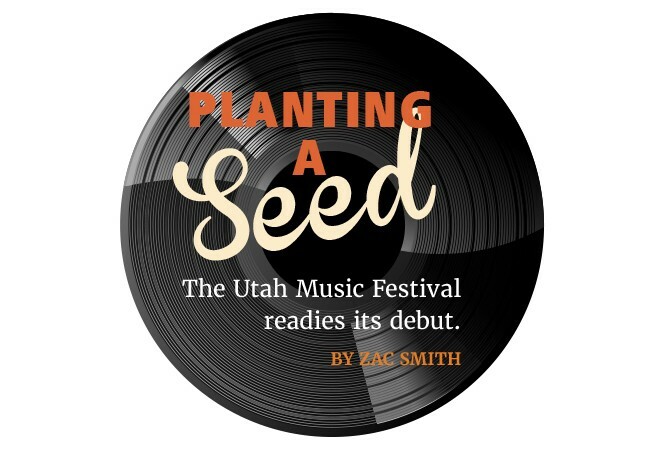 "The Utah Music Festival is a four-day and three-night showcase of Utah's musical talent across a variety of genres," says UMF creator/producer Andy Jorgensen, who's also the owner of Lighthouse Investments, a Utah-based technology venture capital firm. "The goal of the festival is to let music lovers sample the great artists we have here in our own backyard," he continues. Jorgensen, a New York native, has gained a deep appreciation for the Utah landscape and our ever-blossoming music scene over the past eight years. The inspiration to create the UMF came when Jorgensen met Rick Gardiner, host of the Summertime Brighton Cabin Concert Series and, like Jorgensen, a seasoned hiker. Gardiner welcomed Jorgensen into a community of Wasatch hikers and, during one particular sunset trek near Brighton, their friendship grew as they discovered a mutual interest in music. 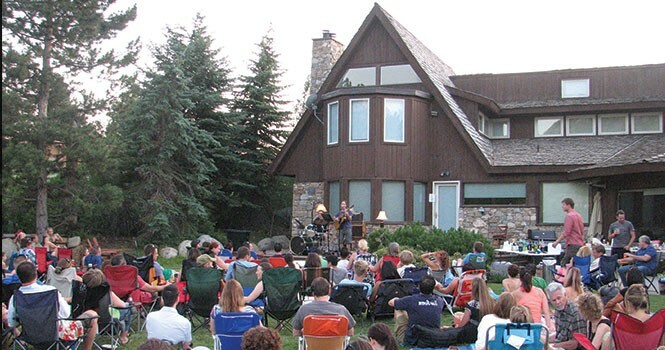 One evening, while attending one of the house concerts Jorgensen held as part of his 9708 Oakwood Concert Series, Gardiner suggested they join forces to create a music festival. "That was the last conversation we ever had," Jorgensen says. "Rick passed away doing what he loved—hiking the Wasatch, just six weeks later." Jorgensen created UMF in memory of Gardiner. "He planted a seed, and I'm sure he's looking down on us now, watching it grow." UMF offers an opportunity for new listening experiences, as well as the ability to tailor your experience to taste—not to mention geography. From March 2-5, more than 50 local bands are set to play in 12 venues. Instead of sticking to the usual cluster of downtown spots, the UMF scheduled shows from downtown Salt Lake City to Draper. Each one features three acts, represented anywhere from one genre to three closely related sounds. On Thursday, The Urban Lounge hosts a hip-hop performance by Burnell Washburn, Grits Green and House of Lewis. On the same night is a blues/country event at Leatherheads, headlined by Tony Holiday and the Velvetones, GrapeGrass and Carver Louis and the Old Lincoln Highway Band. On Friday, at A Bar Named Sue in Millcreek hosts one of the alt/pop/rock shows with Advent Horizon, Jody Whitesides and MiNX, while down in Murray at The Ice Haüs is a blues/indie show with I Hear Sirens, Mortigi Tempo and Lost in Bourbon. On Saturday, The Acoustic Place at the Gateway hosts an indie/pop/rock night featuring Festive People, Spirit City and Le Voir, and The Royal's blues/rock/soul event has Badfeather, Arizona Sun and Vintage Overdrive. Other genre nights include EDM/house/hip-hop and rock/cover bands, among others. That's a lot of music in a short amount of time, but don't get overwhelmed. "Only about six to seven different venues will be used on any given night," Jorgensen says, "so that people can go to places they may not have been before." Alongside the sounds of many talented artists, UMF also offers music workshops for those looking to take their talents to the next level or make a larger splash in the record industry. Topics include "Creating a Community of Super-Fans" presented by Carlos Castillo, owner of Musicprenuer Apprentice; "Songwriting Mastery" with Utah NSAI Chapter President Chelsey Stallings; and "Getting Radio Play" from the KRCL team. In a format similar to that of the annual South by Southwest festival in Austin, Texas, one lanyard acts as an all-access pass—"an entire weekend of music for the price of a movie, popcorn and a large soda," Jorgensen says. A portion of the UMF's proceeds will be donated to local charities. If the inaugural UMF goes well, Jorgensen hopes the festival can grow to include venues in Provo, Park City and Ogden. "We'll also look at expanding the offerings to include movies, technology and culinary arts." A kickoff party is scheduled for Wednesday, March 1, at Brewvies Cinema Pub from 7-9 p.m. For more information, including the full schedule, visit utahmusicfest.com or facebook.com/utmusicfest.